Powerenz provides portable solar power systems for applications specific to disparate groups, from military personnel to adventure seekers to the environmentally conscious. As a startup business, Powerenz wanted its website to generate product leads and sales efficiently. 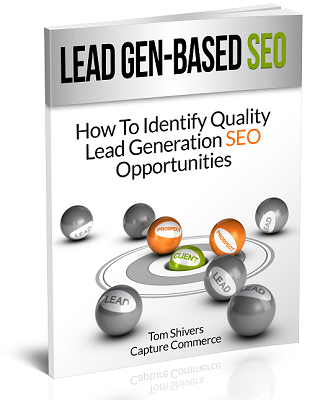 They came to Capture Commerce in 2007 for help with pay-per-click management and search engine optimization. The company's goal: sell portable solar power units to individuals and organizations looking for a source of reliable quality, off-grid power that's easy to use - without depending heavily on pay-per-click advertising to find prospects. To achieve that goal, prospects like HAM radio operators, photographers, military personnel, campers, and field research specialists with remote power requirements needed to find the site using search terms like portable solar power, off grid solar system and solar power generator. Capture Commerce put together both short - and long-term plans to meet the goal. First, we took over management of the Google Adwords and Yahoo Search Marketing campaigns, revamping each with better-performing keywords, ads and landing pages. At the same time, we began implementing the SEO campaign, targeting many of the same keywords in the pay-per-click campaigns. We identified many on-topic, on-audience websites, and established links from those sites to powerenz.com, then set up and implemented data feeds for their products. We also upgraded the content and redesigned the home page and navigation to increase the site's conversion rate. In the 3rd month of service, organic search traffic overtook paid search traffic for the site, and we helped reduce expenditures on the pay-per-click campaigns. We monitored and tweaked both pay-per-click and SEO campaigns and, after 9 months, the owner ceased all pay-per-click advertising (Google Adwords and Yahoo Search Marketing). 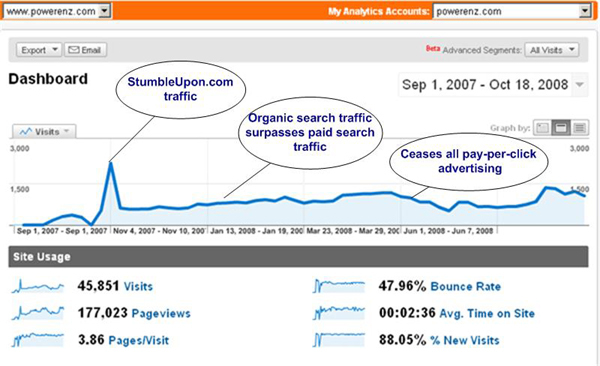 Since then, approximately 84% of the site's traffic has come from organic search engine listings - and continues to sell at a desirable rate because the site is top-ranked for numerous terms, holding many top 5 positions, and communicates effectively with the different groups who can use Powerenz products.